Summer vacation started for most Maine schools in June, but a school in Westbrook remained buzzing with activity. 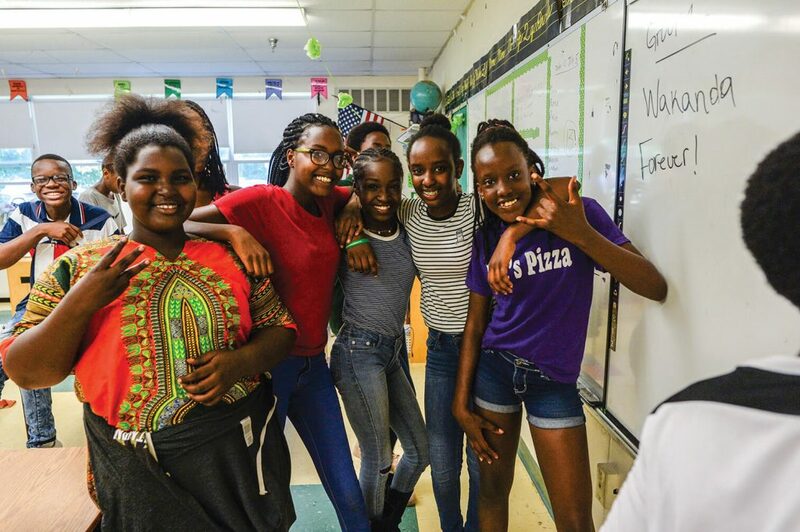 In one classroom, a group of young English language learner students sat rapt while their teacher explained the history of the word “sit-in.” In the gym, sneakers squeaked as students lined up to take foul shots during a free period. Down the hall, a chattering cohort of students huddled over a cluster of desks. “They’re using marshmallows and spaghetti to build a structure that can bear weight,” says Karen Collins. 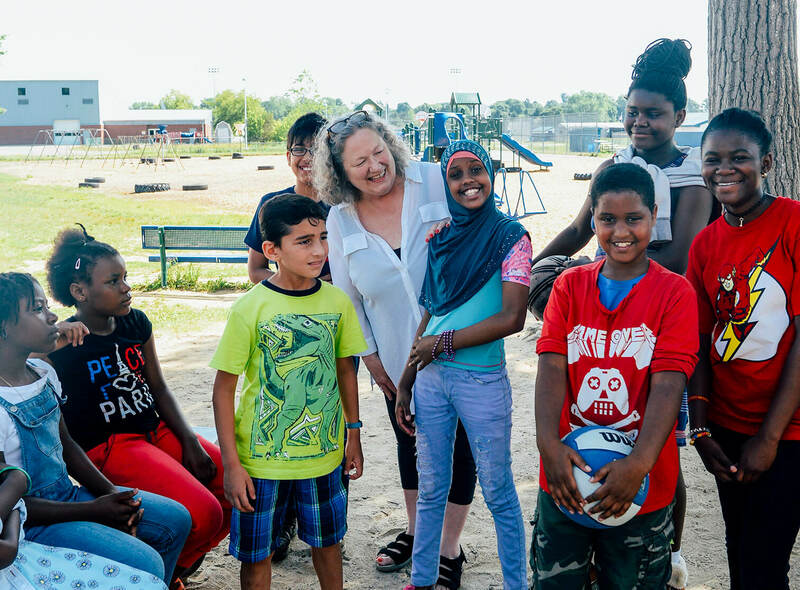 She is the development director for the Power School, a free Westbrook-based afterschool and summer school program for immigrant and refugee children in third through eighth grade. Collins founded Power School in 2014 with the Rev. Mutima Peter, the head pastor of the Bethel Christian Center in Westbrook. She had been helping the church with its fundraising and marketing when she and Peter saw the opportunity for expansion. “The church had just moved to this new building in Westbrook, and they knew they wanted to do something else with the larger space,” says Collins. 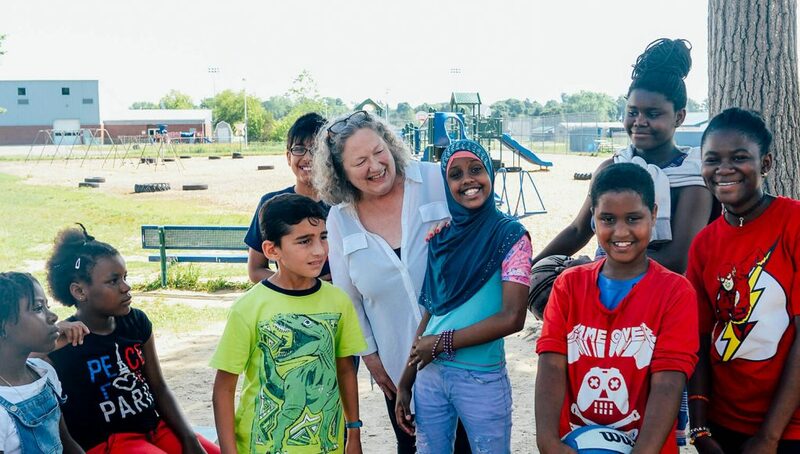 Inspired by the church’s diverse congregation, she and Peter opened the adjoining Intercultural Community Center, an organization that provides educational, social and health opportunities to immigrants. “We wanted to make a secular program so we could help people of all backgrounds,” says Collins. The Power School was their inaugural program. 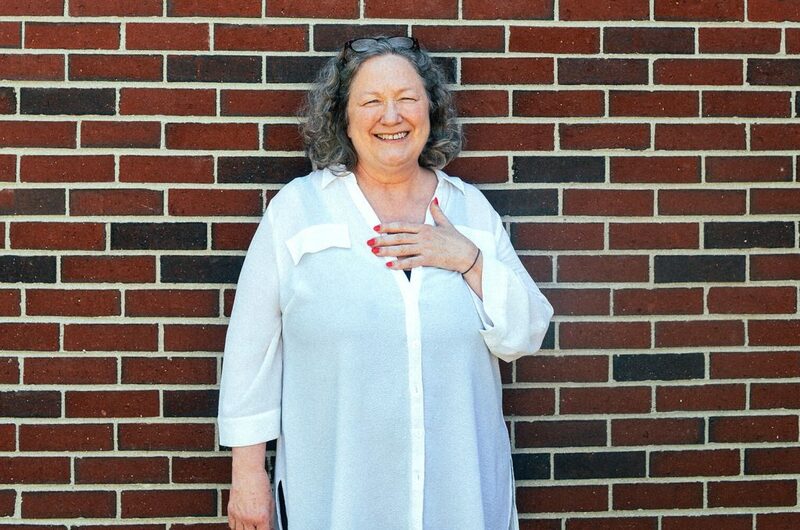 The first summer, “We had about 30 children and very little funding,” says Collins, who worked as a catch-all: teacher, business manager, fundraiser and program planner. “We mostly did it with volunteers, and it went really well!” In just four years, the summer school has grown to 100 students and 10 staffed teachers, and to accommodate this evolution, their usual site is under construction with the addition of four new dedicated Power School classrooms. This learning environment presents the Power School teachers with a unique challenge. “We might have a sixth-, seventh- or eighth-grader who just came to the country, so they’re reading at a much lower level,” says Collins, “We have to try to give them work that’s still interesting to them at their age.” To help accomplish this goal, the teachers use the scaffolding method. “Scaffolding is basically teaching one lesson to a group of children who have varying degrees of English comprehension. You teach the same lesson but in a few different ways,” Collins explains. The curriculum, with its focus on English fluency, emphasizes the applied side of each subject. “This year, we’re working with Idexx. They’re going to come in twice a week in the summer and teach different STEM topics,” says Collins. “They bring lab coats and goggles and gloves. The kids just love it.” The students will also have the opportunity to practice robotics, simulate running companies, build houses with math and analyze the nutrition of their food, all while gaining important comprehension skills. In the years since the Power School’s first summer, Collins has settled comfortably into her development role. “I’m always trying to figure out what new and exciting programs other out-of-school-time organizations are doing. I’m often able to solicit funding from foundations based on what I’ve studied,” she says. Although this takes up the majority of her time, her title “is still not inclusive of all the things that I do. You name it. I drive the bus sometimes,” she says. Bailey O’Brien is a Portland-based freelance writer and editor. In her spare time, she can be found in tiny bookstores, on top of mountains or beside the ocean.